Happy Holidays to all of my gaming friends. Its been a bit quite around here but that is because I've spent a lot of time with the family and doing non-hobby stuff. However, my project with the Blood Angels is nearly complete and my friend is very happy with the results. During the holidays we actually got a few games in, and the models look great on the table. Expect a lot of pictures in the coming week and hopefully a few army shot! 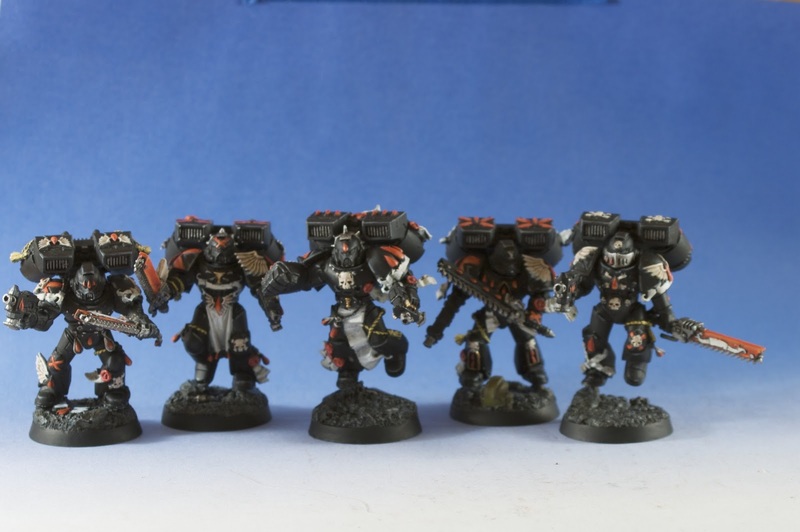 Below are the Death Company and I must say that these are the best models from the new BA range. They have the proper amount of detail and the color combination looks the most sharp. I just don't want to face too many of them across the table.